Solitary strangers meet during a stormy stopover. Hours later, their hearts hum a harmonious duet. Sinister forces threaten to destroy their new found happiness. The couple must work in close concert, placing all their faith in God as they solve the deadly mystery that ties their lives inexplicably together. Fire, loss, and bloodshed cannot shake their faith in God to see them through as they face a percussive climax that leaves hearts and lives forever changed. Hallee Bridgeman lives with her husband and their three children in small town Kentucky. 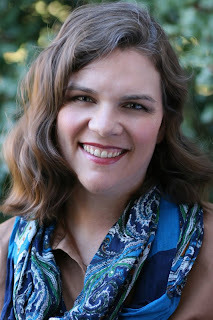 When she's not writing Christian romance novels, she blogs about all things cooking and homemaking at Hallee the Homemaker (http://www.halleethehomemaker.com). Hallee started writing when her oldest child and only daughter was a baby, but a busy professional career and being the wife of a deployed soldier had her shelve her books for another time. Two more children, a cross country move, and God's perfect timing brought the books off of the shelf to be dusted off and presented to you now. This book has affected me on so many levels. I am so moved by it that I don't know where to begin this review. Me, who is usually never stuck for words! To say I'm stunned is an understatement. Friends, brothers and sisters, I never say I'm stunned by a book. Never. But I'm saying it now. This is as taut a thriller as ever I've read. It's hard hitting and doesn't flinch from the bad stuff. Like any contemporary thriller, it's full of surprises. Explosions, bombs, bullets, missed connections, it's all there. What's not there is explicit sexual description and what is definitely not there is profanity. What a refreshing change! Hallee Bridgeman has gone and proved that you don't have to write dirty to get people's attention. That a book can thrum with sexual tension without a bed in sight. That actual evil and hatred can manifest itself on the printed page without a single swear word. And I truly believe, as a person who believes that Jesus Christ is the Son of God and that God raised him from the dead, that this can only be accomplished by the power and the anointing of the Holy Spirit. Hallelluia! I praise and thank God for the gift of Hallee Bridgeman to readers, for her awesome talent and generosity of spirit in sharing this wonderful story. The Spirit of God is definitely present here and the Word of God and it's vibrant power is continuously present. 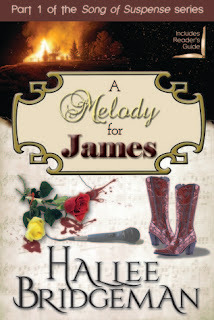 The plot, James and Melody's story, how they meet at a juncture of their lives and fall in love, to be reunited again several years later, is compulsive and will please readers of romance. The intrigue regarding the enemies who surround them will please the readers of thrillers. How this couple walk in the Valley of the Shadow of Death, fearing no evil will please spirit filled Christian believers. It is so true - if you live in the Word of God and the Word in you, no weapon formed against you shall prosper and ever tongue which rises against you shall be condemned. Heavenly Father, I pray this wonderful novel will be read far and wide and help increase the faith of believers everywhere and bring faith to people who don't know the Lord. In Jesus' Name, Amen!